Nearly black in the glass. Blackcurrant and smoky wood on the nose. On the palate it offers black cherry, dark currants, superb tannins and olives. The midpalate gets a dose of dryness from the tannins to go with more dark berries. The finish is blackberry coulis, tea and a touch of wood. Overall a very good but young wine that needs two to three years in the cellar. After that- drink till 2028 with heavy duty meat dishes. 91 points for now. I would love to revisit in 3 years. $55 makes this a 4 star effort. Salut…. This is my second Turley from this vineyard. It was given to us as a very generous gift. This Napa Valley offering is a black wine in the glass hinting to some deep extraction. You know how I love this varietal, especially when it is rich and coating. It boasts a thick nose of black fruits, bramble and violets. The initial attack consists of black berries, cherry and some Pomegranate. Tannic yet balanced with some bracing acidity, this should cellar well. Medium finish and a well hidden 15.4% alcohol. 2015-2020. 91 points for this $80 offering make it a 3 star effort. Wish I had more. Salut…. 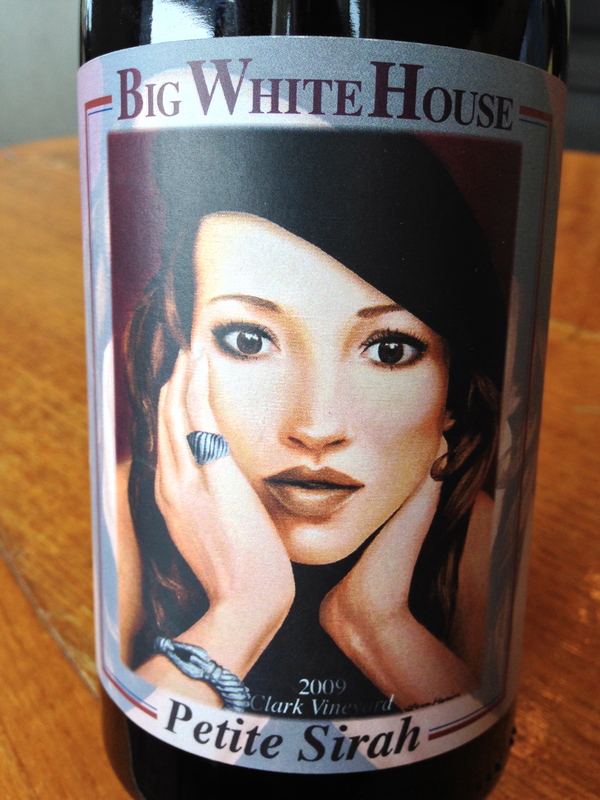 I’m a big fan of this winery, having had their Zinfandel on several occasions. You can’t beat the sub $10 price for this inky purple offering that plays like a 25 dollar wine. On the nose, some spice and blue fruits that translated into plum and blackberries on the palate. Not overly complex, but interesting. 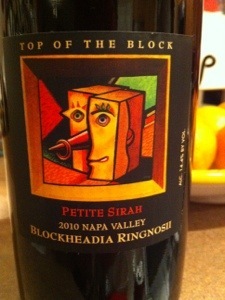 I am into Petite Sirah in a big way (not to be confused with Sirah-totally different grape folks). It offers power, yet not in a jammy, over the top style. This wine was very balanced in my opinion and hit the spot with some teriyaki skirt steaks and corn. Structure wise, I am not sure it will age beyond 5 years, but who cares, it’s ready to tango right now. I might need a few bottles in the cellar in case a party breaks out, this wine won’t disappoint. Technically speaking, this would probably rate an 88 by the pro’s but it’s a 5 star wine for me. I prefer finesse to powerhouse, but every once in a while along comes something that makes me pause. 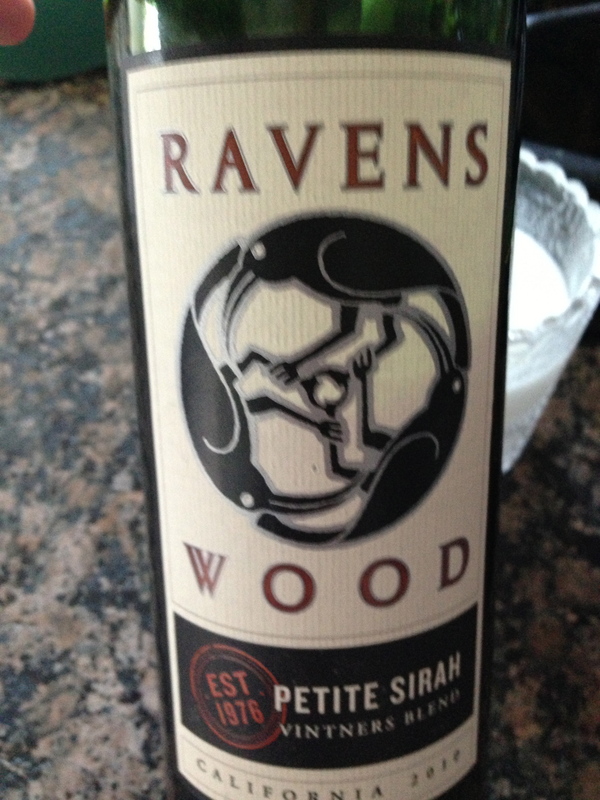 Petite Sirah is that pause. This varietal is juicy, tannic, bold, flavorful and not at all subtle. I first got a nosefull of blueberry, but after a while it turned more blackberry meets plum in an oak tub. On the palate, well integrated tannins meld with blueberry pie and spice. Slightly annoying alcohol is excused by the smoothness, but 14.4% is too much. This dark purple offering is just a babe, I reckon in 2 years its gonna rock when all the pieces are in the right places. I thoroughly enjoyed this wine and reckon it’s a 91 pointer with 5 stars in my book.